Restaurants and groups can team up with Enterprise Printing to create cookbooks for resale. We offer wholesale cookbooks, Treasured Recipes, with a collection of recipes collected over the years. 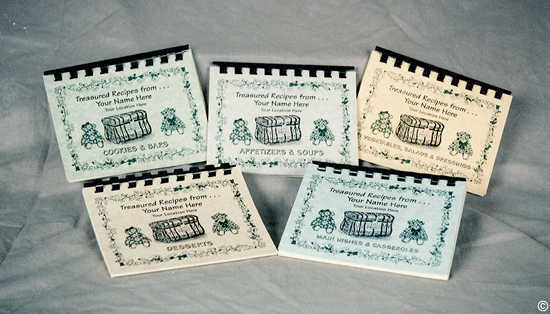 We can also customize a cover and use your recipes to personalize your cookbook. These books can be sold in gift shops, souvenir shops, or for organization sales. we receive your order if needed. Money Order: Mail to us! Your cookbook can feature Katie Lou on the cover -- select option 1.